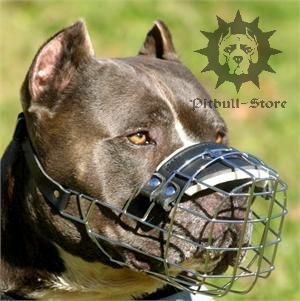 Basket dog muzzle is perfect for Pitbull safe walking and attending public places with your strong dog! 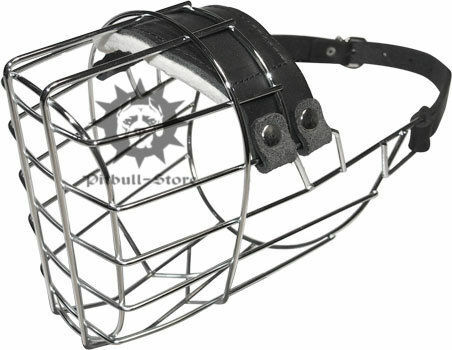 Our experts designed this basket muzzle maximum comfortable and safe for Pitbull. 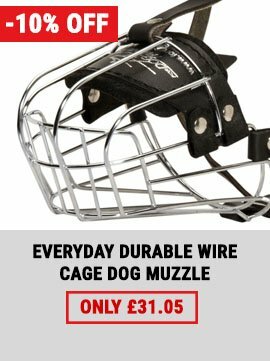 The wire dog muzzle is light-weighted, spacious and good ventilated. 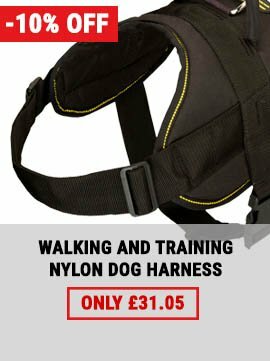 Your dog can open its mouth, bark and dring with the wire muzzle on! 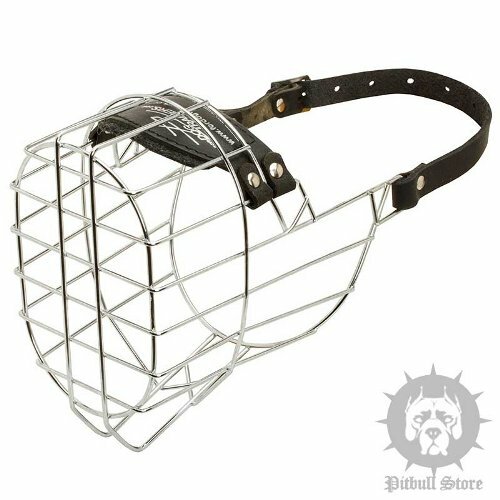 The Pitbull muzzle is also inhibits biting and chewing. Metal basket is nickel-plated to provide long-term usage and prevent corrosion. Nose area is felt padded to avoid rubbing. 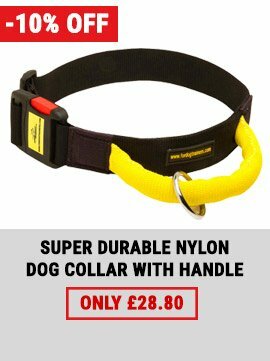 Choose the best dog muzzle for your beloved dog! 1. Length - distance from the tip of the nose to eye line in inches. 2. Circumference - circumference around snout one inch below eye line in inches, should be measured with mouth a little open. 3. Eye Line - distance from eye line to right behind the ears in inches. 4. Neck Circumference - circumference around neck right behind the ears and right behind the jaw (in inches). 1. Hello! Thanks for the great basket dog muzzle! Received on time. I`m very satisfied! I will continue to use your services. 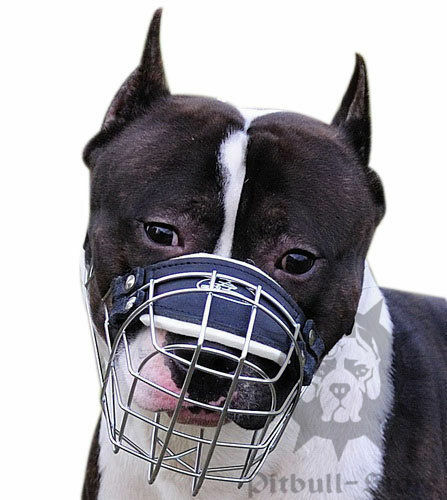 See the whole collection of dog muzzles for Pitbull/Staffy walking and training. 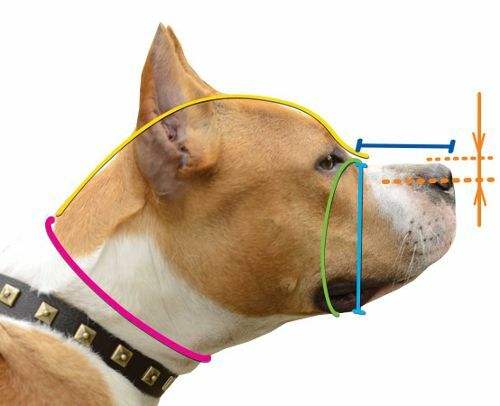 Read also our article how to train Pitbull to put a dog muzzle on. I'm very satisfied with the muzzle and service. It fits my Staffy perfectly.